South-west Turkey is not just a summer destination; in winter it also has a lot to offer outdoor-lovers in search of action, adventure and an escape from city life. 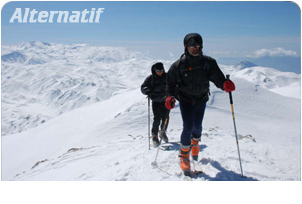 The Western Taurus mountain range extends west into Mugla province, and there are two mountains in this region suitable for winter sports, Mount Sandras (2294m) and Mount Eren (2677m). Both have good snow cover between December and April. 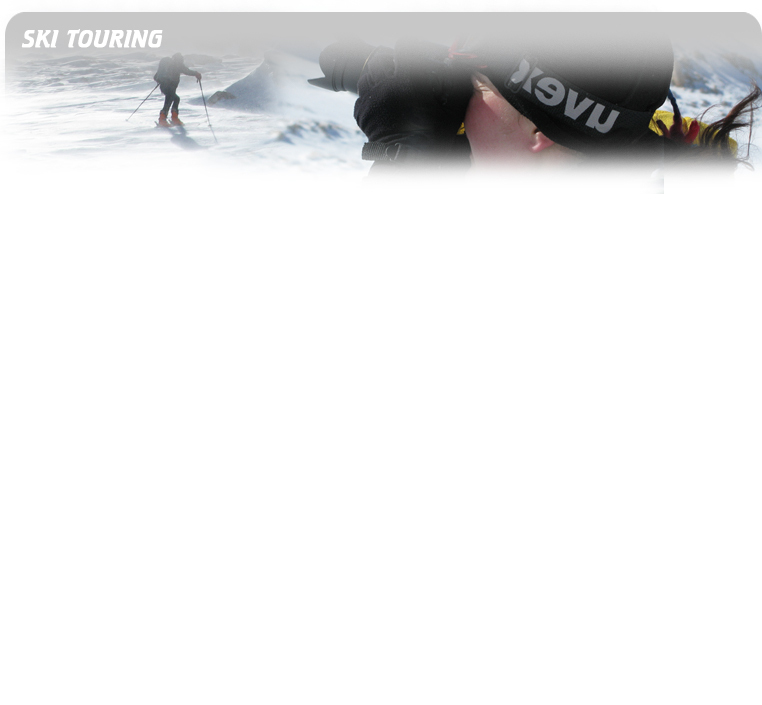 We offer customised guided ski-touring trips of varying lengths for private groups of up to 12 people. 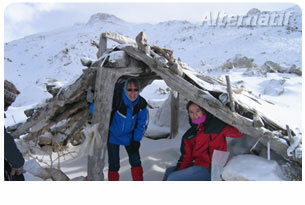 Accommodation is in village houses or camping, depending on the route and conditions. Participants should have previous experience, and their own equipment. We provide guiding service and logistical support (transport and accommodation). Please contact us with your requirements and we will propose an itinerary. Mount Eren i.s located near the town of Seki, 74 km north-east of Fethiye. As it is higher than Mount Sandras, the higher slopes are unforested, allowing wide views in all directions. We can also enjoy the hospitality and conversation of the local people in Temel Village. This region is suitable for tours of 1 to 5 days. Mount Sandras is located to the north of the town of Koycegiz, which is just 30 minutes drive from Dalaman airport. Tours start from the mountain village of Agla, from where there are wonderful views over Koycegiz Lake. This region is suitable for 1-day and weekend tours. The slopes are clad with fresh-smelling pine forests, and during our trip we may visit one or both of the beautiful lakes here. The highest slopes are forested with ancient specimens of a rare variety of cedar tree.